OS Migration Is Coming: Here is what Companies are doing. The clock is ticking on Windows mobile devices, and now is the time to explore your options before it’s too late. OS Migration is Coming. Microsoft is ending all support for Windows Embedded mobile operating systems and has already ended support for a number of Windows Embedded and all Windows Mobile versions. If you’re running any of these operating systems on your enterprise mobile devices, you need to develop a plan quickly, because the end of support means there will be no future security patches. That could create a world of opportunities for potential cyber attackers, particularly at a time when threats against business of all sizes are on the rise. In fact, according to the U.S. Department of Homeland Security, 31% of all cyber attacks now target small businesses with fewer than 250 employees, and 44% of small businesses in the United States have reported being victims of cyber attacks. The potential costs of a successful attack are also high, and not just in terms of brand reputation or customer trust. According to an IBM study, the average cost of a data breach is $3.62 million, and $141 for each lost or stolen confidential record. Fortunately, protecting yourself against these threats is easier and less expensive than ever before thanks to a major change in the enterprise mobile industry. As Microsoft has steadily turned away from the enterprise market and frustrated end users by making it impossible to upgrade from most of its older operating systems to Windows 10 IoT, Android has emerged as the new future of enterprise mobile computing. Android is now the premier OS choice for all major enterprise device manufacturers, enjoying over 80% market share in enterprise mobile devices, while Windows 10 IoT is only available on 4% of all new devices produced today. Manufacturers such as Zebra Technologies have worked closely with Google to develop the next generation of mobile solutions powered by Android. In turn, organizations such as Home Depot, Whirlpool, Best Buy, and even the U.S. Air Force are all taking advantage of Android technology to achieve better mobile productivity and efficiency. Android is open source and customizable, with access to vast developer resources and app store apps that make it much less time-consuming and expensive to migrate to a modern OS. Thanks to new Mobility Extensions developed by Zebra, Android devices are powerfully secure and give enterprises complete control over every device, app, connection, and user. Android’s over-the-air updates also make it much easier to apply the latest security patches, while Zebra’s LifeGuard™ for Android™ gives you 10 years of guaranteed OS updates. With an extremely intuitive interface that is familiar to many workers, Android devices are easier and faster to use because it is much easier to train new employees. 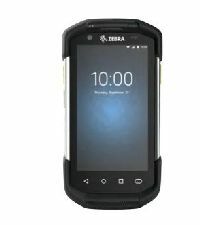 Zebra’s latest Android devices are revolutionizing manufacturing and warehousing processes with advanced scanning engines, faster processors, and more memory. In fact, with Android, you can increase worker productivity by up to 14% almost overnight. If you have concerns about cybersecurity and a desire to turn the necessity of migration into a win for your business, now is the time to act. At TPI, we can help you develop the right plan with a strategic, manageable, and budget-friendly approach. We’ll also help you find the right Android solutions to match your business and security needs. Contact us now to learn more, get started, and request a free consultation.